It's a hot, early autumn evening in the small resort town of Mount Charleston, NV, where six firefighters are battling a massive blaze that threatens expensive homes . . . a blaze that will cost them their lives. Initially, the police determine that the fire was human-started, and the state wants to prosecute to the fullest extent of the law with six counts of homicide. Now the team of Sin City's finest criminologists, led by Catherine Willows, are assigned to work a crime scene far from the glittering lights and 24/7 spectacle of the Las Vegas Strip, and soon find much more than they bargained for. . . . 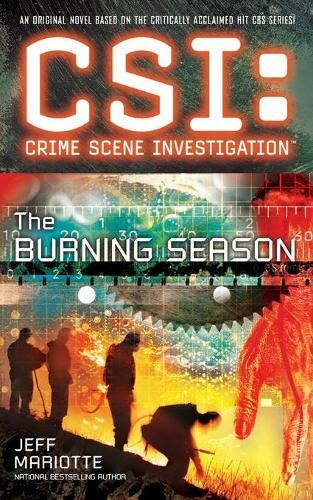 Meanwhile, Ray Langston and Nick Stokes are called to a crime scene where a dog has taken a key piece of evidence-a severed human hand-under a suburban home's crawl space. What's even more disturbing is that it's not the first severed hand that's turned up lately-there have been four other incidents around Las Vegas over the past twelve months. . . .